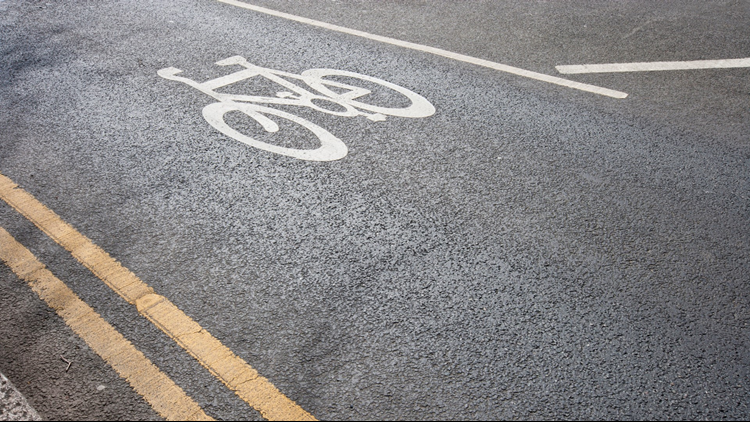 Close-up of bicycle lane in the road, stock image. Deputies were able to find the suspect after a witness recorded the vehicle's description and license plate number. UPDATE, Sept. 21: The Berrien County Prosecutor's Office charged Kyriea Demorrow, 23, for operating while intoxicated causing death and failure to stop at an accident causing death. She was lodged at the Berrien County Jail and later posted bond. BERRIEN TOWNSHIP, Mich. - Todd Harrington, 32, of Berrien Springs was killed on Saturday afternoon after he was hit by an SUV while he was riding his bicycle. The Berrien County Sheriff's Office says that Harrington was on Pokagan Road near Jones Road in Berrien Township when a small Ford SUV struck him around 4:15 p.m.
Harrington died at the scene. A witness and his young son witnessed the incident, and they noted the vehicle's description and license plate number. Deputies were able to match this information to an address of the registered owner in Niles, a 23-year-old woman. Police arrested the 23-year-old suspect who was charged with operating while intoxicated causing death and leaving the scene of a fatal accident. The driver's blood alcohol content was three times the legal limit.